It’s your special day. We are just thrilled to be a part of it. 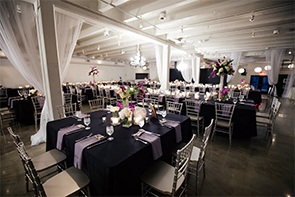 We understand that every event is special and we work with you to help create an experience that fits your overall vision. This is one of the most important days of your life and it is important to work with a team who you can trust. We understand this, and our goal is to gain your confidence and trust throughout the process. Sit back, relax, and be a guest at your own wedding. 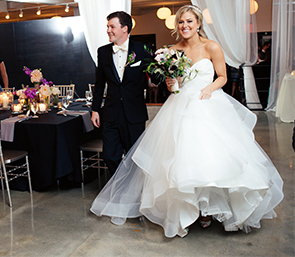 Our professional staff will strive to make your day as perfect as can be. Our Exclusive Caterer, Catering Creations, customizes each menu especially for your event. Click here to see some example menus and pricing. Once you have secured Founders One • Nine as your event venue, we want you to meet with a Catering Creations Event Coordinator to discuss your menu and customize your event. 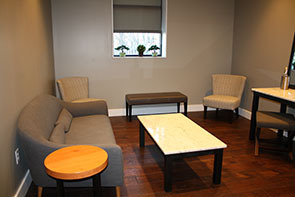 They are available to meet Mondays, Tuesdays and Wednesdays between the hours of 10:00 a.m. and 5:00 p.m. This meeting should take about 30 minutes to allow the coordinator to get a better feel for your event needs and what you want your special day to be. Enjoy a room all to yourself to get ready and/or freshen up. This will be private access on your special day. 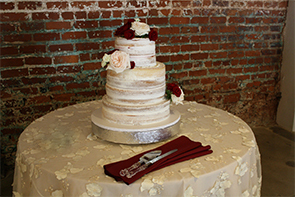 Catering Creations will provide a menu for a day of meals and refreshments while you get ready! Founders One • Nine would love to be a part of your wedding day. Contact us today for more information!